BTW #2, I can't remember if I told you about the worst part of the Sonics leaving town? After the debacle in Detroit, I have a feeling the Magic are using the controversial 3-pointer to add fuel to their already ‘Jarah Mariano’-hot fire and pumped to get their home-crowd ignited for this must win Game 3. Now that's one hot MFin fire! Instead of playing solid D, I have a feeling the DET vets will be leaning on Dwight in hopes of slowing him down! And staying on the pink outfit theme, just like her lil hearts, I expect the Magic to show a lil more heart tonight! 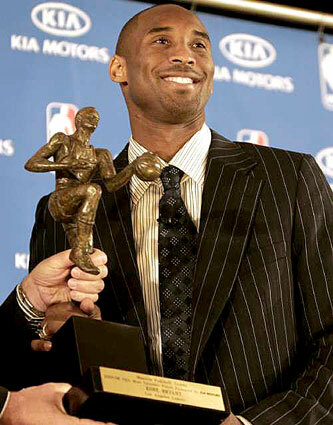 Congrats to Kobe for earning the NBA's Most valuable Player Award. It's been a long time coming and well deserved. LeBron is a great player, and I give him his props when they are due. But I think he gets to much of a free pass when he doesn't step his game up. LeBron was 2-18 shooting last night. Yeah I know he had a triple double anyway; and even superstars have off nights. But superstars find other ways to score like take it to the cup and get to the foul line. Waiting till the last few possessions to take it to the rack was to late in my mind. Trying to win a close game down the stretch in the Garden without your best player stepping it up is asking to much of your teammates. They missed their chance to steal one in Boston, because Boston won't play that bad two games in a row. This series will be 2-0 going back to Cleveland. Sorry Lebreezy! Will be interesting to see how the Lakers and Jazz respond to the MVP annoucement. I don't think Utah needs any extra motivation but I'm sure it will pump them up to try to spoil the night. Expect the crowd to be hyped up for this one, and expect a 20/20 game from superman! Magic in a close one. This page contains a single article from May 7, 2008 10:27 AM. 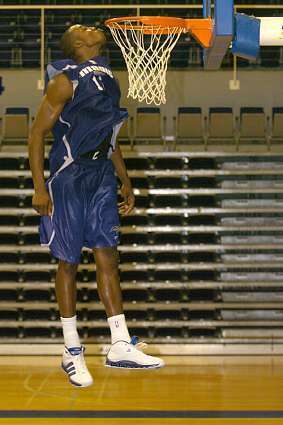 The previous days article was Home of Greg Gamble's NBA Upset Pick.